Facebook is doing its best to counteract on-going bad press by releasing new features designed to build trust in its platform. This new feature allows page admins to see a list of any content they’ve posted that has been removed or reduced in distribution. Reduced in distribution simply means that the content appears lower down in feeds and will reach fewer people. The Page Quality tab is designed to help people understand how well their posts comply with Facebook guidelines. Or is rated false by a third party fact checker. Safety: Removing content that encourages real-world harm (this might be physical, mental or financial). Voice: Embracing diverse views. Facebook supports freedom of expression and sometimes does allow content that breaches standards, but only if it is newsworthy and in the public interest. Equity: Ensuring policies are applied fairly and consistently to the community regardless of region, cultures and languages. 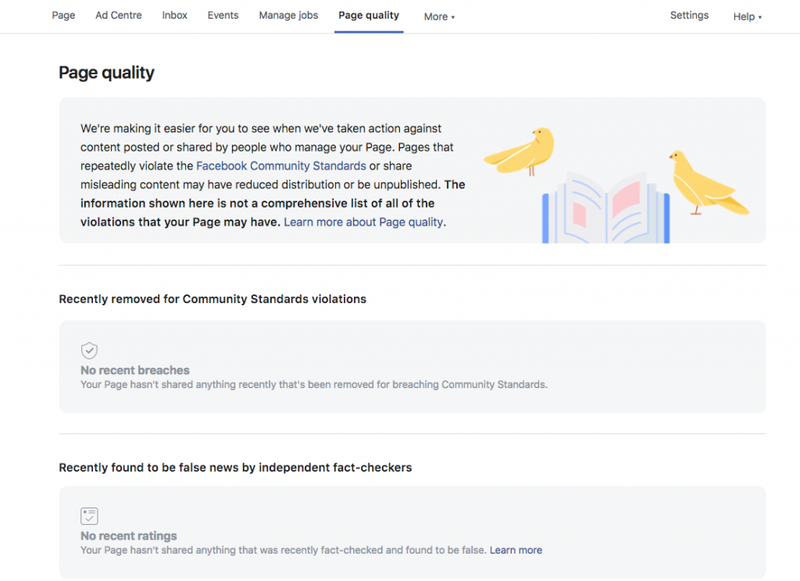 Facebook uses third party fact checkers to check newsworthy public posts. If a fact checker applies one of these three ratings to a post, that post will see its distribution reduced and will be accompanied by related articles from fact-checkers.They’ll also show in your new Page Quality tab. Anyone who shares this ‘false’ content will be notified of its status. This can also happen retrospectively, so if you were to share someone else’s content which is subsequently rated as ‘false’, you’ll be notified of this. Serial offenders will see their reach decrease. If they continue they’ll have their ability to monetise content and advertise revoked. Facebook will reinstate these privileges if the Page starts to show consistent good behaviour. Simply deleting a post doesn’t remove the strike against you. However, you can appeal the decision directly with your fact checker. In the UK this is a company called Full Fact. 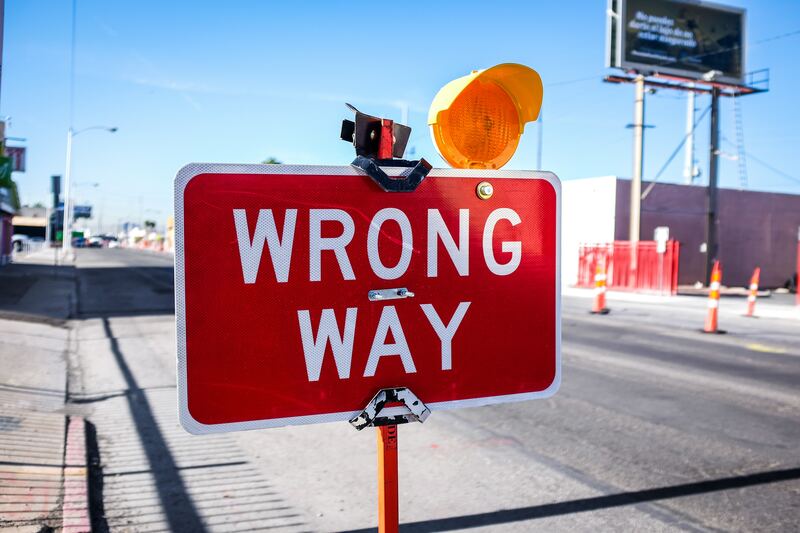 Corrections: To issue a correction, the publisher must correct the false content and clearly state that a correction was made directly on the story. Disputes: To dispute a rating, the publisher must clearly indicate why the original rating was inaccurate. You have to do this within one week of receiving a ‘false’ notification. However, if you share content written by someone else that is rated as ‘false’ you cannot appeal. Only the original author can do this. As a ‘false’ rating can be added after posts have already been shared, you should be really careful about what you share. support or praise of people and events that are not allowed to be on Facebook. It won’t be showing content removals for things like spam, clickbait, or IP violations. But this may come in the future. Facebook has also updated its recidivism policy. Recidivism is the tendency of a convicted criminal to reoffend. We see this manifested in social media where people start up new pages similar to ones that have been banned or closed down, and carry on as before. Facebook already has tools in place to prevent this, but people have found workarounds. Until recently it has been possible for people to use existing pages that they already manage for the same purpose as the removed page. Now, when Facebook removes a Page or Group for violating policies they may remove other similar Pages and Groups. They decide this based on a broad set of info – i.e. if Pages have similar names or the same people administering it. 👍 Check your Page Quality If it’s clear, carry on as normal. Well done you. 👍 Don’t panic if you have one or two offences, but it might be worth re-acquainting yourself with the community standards. Privacy breaches and image privacy rights – don’t post personal or confidential information about other people without first getting their consent. Don’t post or share false news as it’ll start counting against you. 👍 Use common sense and do a bit of independent fact-checking yourself if anything looks suspicious.